Due to the confusion of the signature of H. Lewis, two forums were started on the antiqueandthearts.com website by folks who owned pieces of his art trying to figure out just who the signature belonged to. I left my contact information on the forum and I received emails from a couple of collectors who had H. Lewis art. We cleared up the confusion using the signature I have on my Girl Playing the Piano painting. I recently wrote back to the owners of the art work and asked if I could post their pieces. This post contains two of the landscape-type from Dave Kennedy in Seneca Falls, NY. 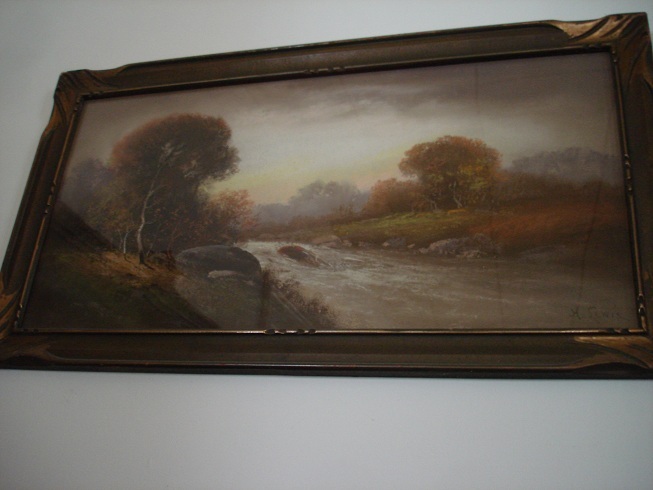 I believe both are pastels, with ornate frames signed H. Lewis. Dave tells me he has about seven of H. Lewis’s pieces. It was good to know that others, who were not relatives, enjoyed Hubert art and that it still hangs in in people’s homes. This entry was posted in The Art and tagged 19th century art, 19th century artist, American artists, art, artist, Collection (museum), Dave Kennedy, Fine art, Girl Playing Piano, H Lewis, H.R. 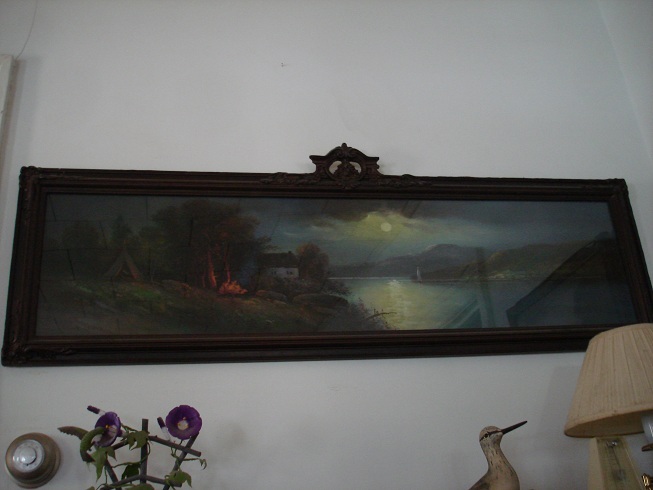 Lewis, HR Lewis, Hubert, Hudson River School, Lewis, Painting, pastels, Visual Arts. Bookmark the permalink. Hi, I have been searching for information about H.Lewis for a long time. I purchased a picture many years ago, it is a favorite of mine. Thanks for the posting and information. Hi Helene, I’m glad to know Hubert Lewis’s picture is one of your favorites.Since I also searched the internet for more information about my great-grandfather I understand the want for more. I’d be happy to post a photo of it on this website if you want to send me a photo to my e-mail ksnazzy@comcast.net.